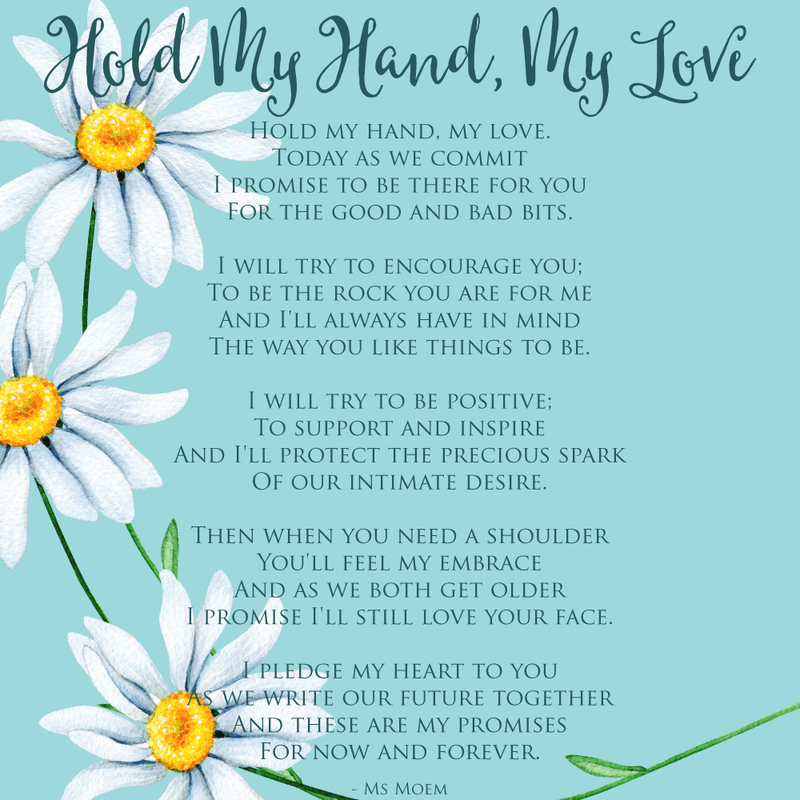 Hold My Hand, My Love ~ Wedding Vows | Ms Moem | Poems. Life. Etc. Hold my hand, my love. For the good and bad bits. The way you like things to be. I promise I’ll still love your face.